Listening to the Holy Spirit will help you to make sense of the facts of your life. The bible calls him the Counselor and the Comforter. He is more than a good friend. He can be a companion that is called alongside of you and the Holy Spirit can assist you in making sense of your life. Did you know that the facts of your life can be misinterpreted in many ways. Many years ago, news agencies simply gave the “facts”. All of that has ceased. You no longer can get an unbiased reporter who gives just the facts. I don’t care what news agency you watch. Now you get the facts and then along with it, you get the “spin”. If there is anything that the American public has grown to recognize-it is the power of the American media to influence how we interpret the facts. It is a simple concept. There are the facts – the actual events of what occurred. Then there is how the person interprets the facts – the spin they put on the story. Listening to the Holy Spirit can help you interpret in a good way the facts of your life. Let me explain it like this: There are the facts of your life and then there is how you interpret the facts of your life. How you interpret those facts will many times bring you to a place where you sense “victory” in life or where you are overwhelmed with a feeling of “despair”. What happens to you in life is not nearly as important as the interpretation you give it. I want to teach you how listening to the Holy Spirit will let God put the “interpretation” on the facts of your life. So many times in our life we have no control over what happens to us. Sometimes unexpectedly negative or trying things happen to us. We can’t control that. However, we do have control over who we choose to listen to and what we choose to believe about those circumstances of life. As you look back across your life. Let me ask you this question: Who is putting the interpretation on the facts of your life? Let me give you an example of some of the groups of people that are endeavoring to put “spin” on the facts of your life. The Media we watch and listen to. Listening to the Holy Spirit can sometimes be replaced by the amazing power of a multitude of media streaming into our lives. Facebook, Twitter, Google, Movies, Television, all are trying to influence us to interpret out lives in a certain way. Take television alone. Nearly half of all homes in American have more than one TV. 85 % of Americans watch television every day. In the average home, the television is turned on seven hours and two minutes a day. I will guarantee you that TV puts a spin on how you interpret the facts of your life. If your eyes are good, if you have on the lenses of Gods interpretation for the facts of your life. Your body will be full of light. You will have the right interpretation. If your eyes are bad, focusing on the worlds view and values listening to Satan, you will misinterpret the events of your life and it will be dark. What was Jesus talking about in this verse? He is not talking about a lesson in Ophthalmology. He’s not talking about the physical. Jesus is talking about the spiritual principle that says that what we allow in our vision will determine the things that we value. Somehow what we see shapes our spirit. There is a connection between our cornea and our character. Television, the movies – all have a very worldly spin. You must guard your heart and mind from the “spin” of the world. Here is an example: The fact of your life could be that you are so happy you got your car paid off. You don’t make enough money right now to buy a new car. You have bills. Your car may break down on occasion, but it is drive-able. Every day you just say, thank you Jesus, It is paid for and you are content. You really should drive your car for another two years. But then TV advertising comes along: It tells you their spin. You deserve a better car. Look at the fun these people are having with their new car. All of a sudden, you look at the facts of your life differently. You were content – now you are discontent. All you see is the dents, the worn carpet, and you are unhappy. When something like that happens, you have just allowed the world system to put an interpretation on your life that didn’t need to be there. Take for instance a man who has been married a few years and works with a great deal of people who are single. They live the bar lifestyle, talk about hook ups and things from a worldly perspective. And they invite this married man to join them. While he goes there at first to play pool and relax, it isn’t long before he meets someone other than his wife, and he is attracted to her. So now where he was happy being married, happy with his wife, now his friends have convinced him that he will be better off being “free”. He is now interpreting the fact of his life (he is in a covenant relationship with his wife) as being something undesirable and restraining. The same thing happens, when this man’s wife finds out. At first, she is hurt, and then angry, and instead of going to God and listening to the Holy Spirit, or even talking with the people at work, she talks about it with her friends at work and so they say, he cheated, you cheat too. This has to be the worst counsel anyone could ever give. They are giving a horrible spin to the facts. Two wrongs don’t make a right. Cheating on your husband won’t make you feel better. But she too has allowed friends and family to put an interpretation on the facts of her life. Satan’s “spin” is mostly made up of lies. It always has been and always will be. Listening to the Holy Spirit has to be a part of our lives less we only hear the language of the Accuser. That is why- you have to stay in the Word – so you will recognize his lies. That is why – you have to train your ear so that you can hear what God says to you. That is why – you need a personal relationship with the Holy Spirit. Satan is a liar and he wants to put his “spin” -his interpretation on the events of your life. In fact, I believe that there is a constant spiritual battle going on over the interpretation of the events of your life. God of course, he wants you to interpret them in a way that will bring you esteem and joy and peace. Satan wants you to interpret them in a way that will destroy you. How many of you see that’s Satan’s Spin? The Holy Spirit wants to be able to put his interpretation on the events of your life. By the way, it is impossible for the Holy Spirit to “spin” the facts of your life. He is the Spirit of Truth. His interpretation of your life sounds like this. Listening to the Holy Spirit can make a huge difference in your life. Whose report are you believing? The report of the enemy or the report of the Holy Spirit? Listening to the Holy Spirit and hearing from him is possible if we spend time in prayer and quietness listening for His still small voice. I want to encourage you to follow this link to a sister article to this one. It is called, How to pray through the disappointments of life. 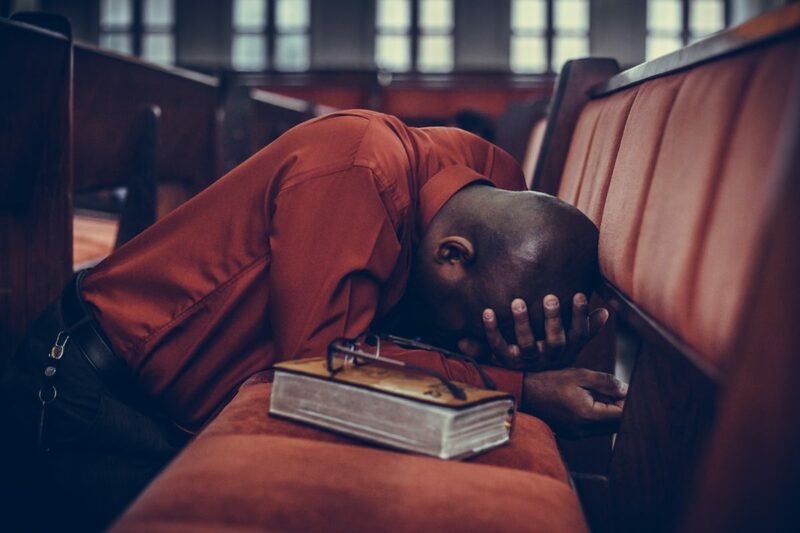 How to “pray through” the disappointments of life.